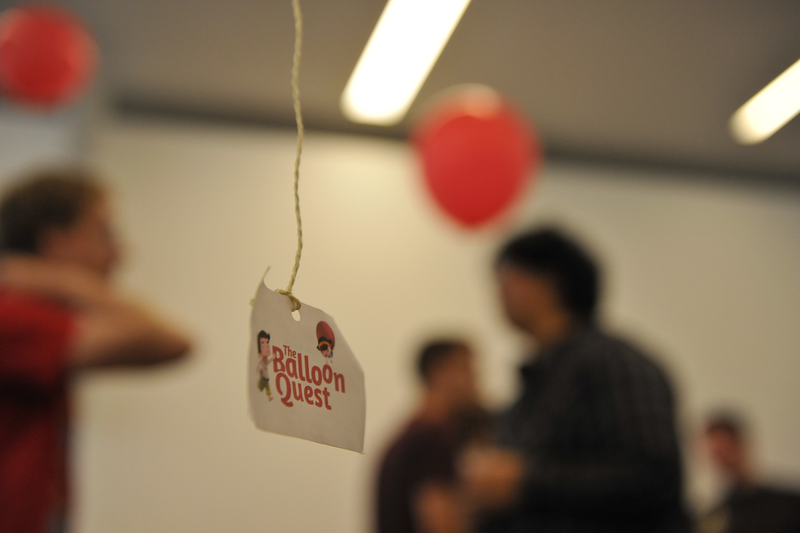 We are a group of students currently working on our game "The Balloon Quest". 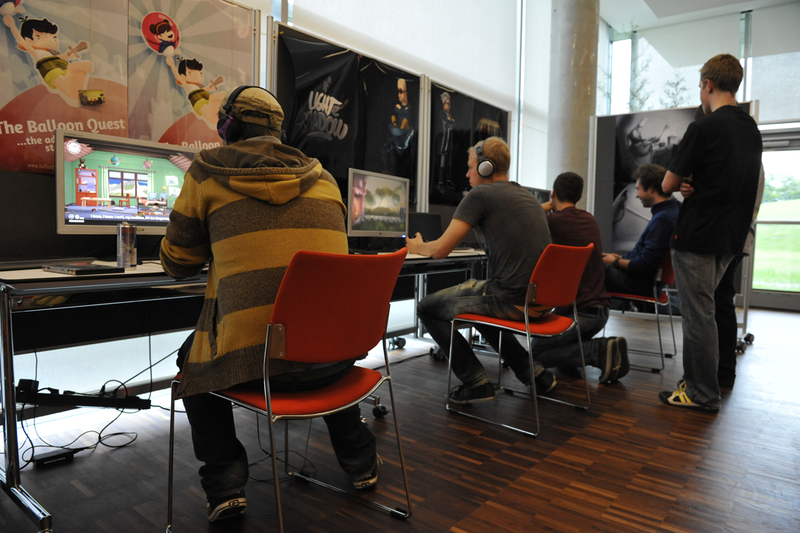 We believe that games are neither exclusively play and diversion, nor a mere story telling medium, but that they hold the power to combine both in a unique way, creating compelling, meaningful and entertaining experiences for all age groups. This is what we tried to achieve with "The Balloon Quest". 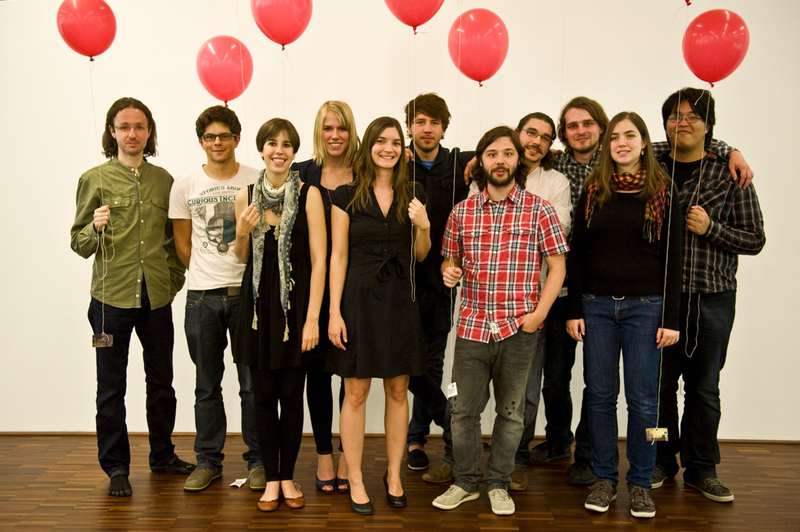 In late 2010, a team consisting of 11 artists developed game concepts for their final project at the Salzburg University of Applied Sciences in Austria. After several months of brainstorming and creating a large pool of ideas, two projects respectively games resulted from the extensive conceptual phase, one of them being "The Balloon Quest", the other "Of Light & Shadow". 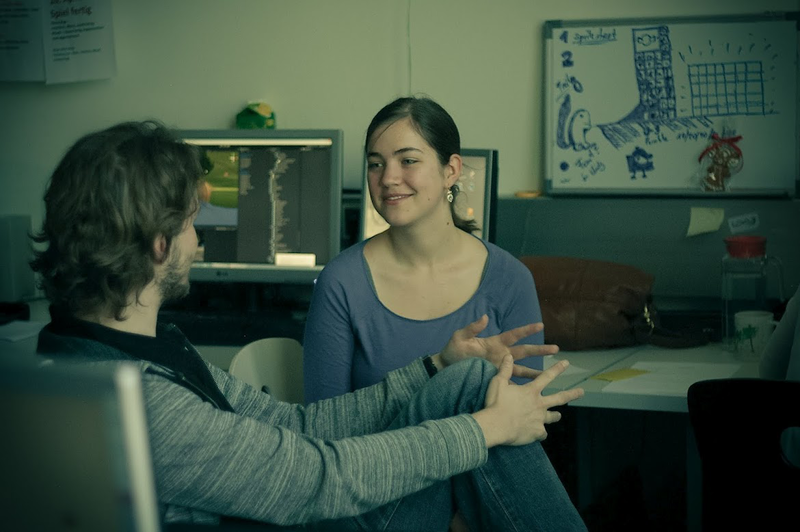 The original team split up and each of the now two teams got reinforced by another 4 coders while developing a first prototype of the game by summer 2011. 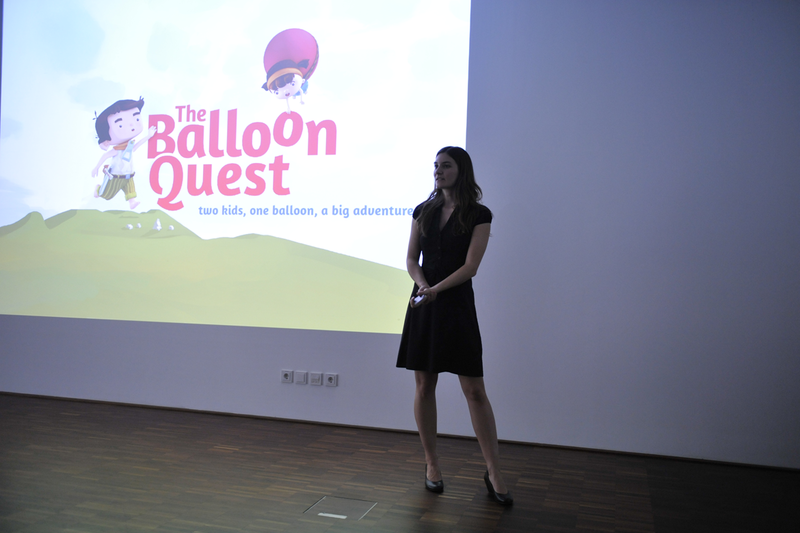 "The Balloon Quest" changed and evolved a lot until the concept reached its more or less final shape. 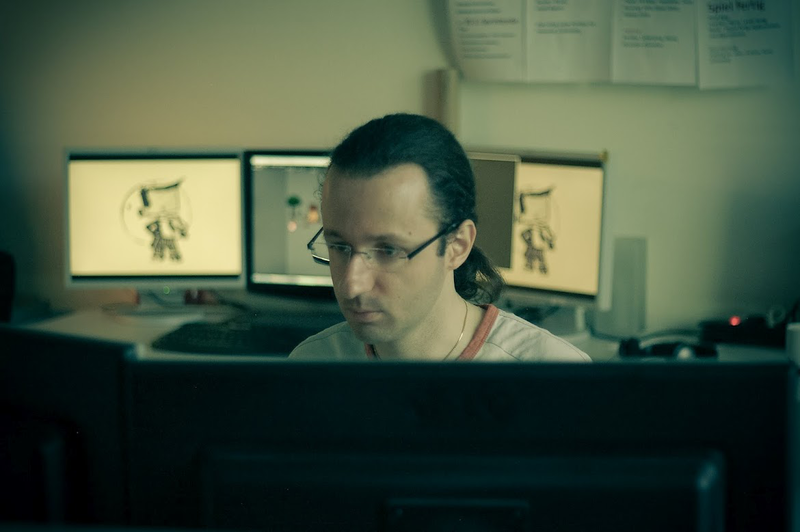 The following months were used to work out a fitting style and background story, to create content and to develop and build levels within the Unity 3D engine. There are far more images available for Get Grumpy Games, but these are the ones we felt would be most useful to you. If you have specific requests, please do contact us! There are currently no logos or icons available for Get Grumpy Games. Check back later for more or contact us for specific requests! "[The Balloon Quest is] possibly one of the most charming games ever, capable of making even the coldest person to feel sympathetic for the duo of main characters." "Les auteurs ont apparemment mis l'accent sur la qualité des graphismes et un gameplay particulièrement bien réussi et maîtrisé. 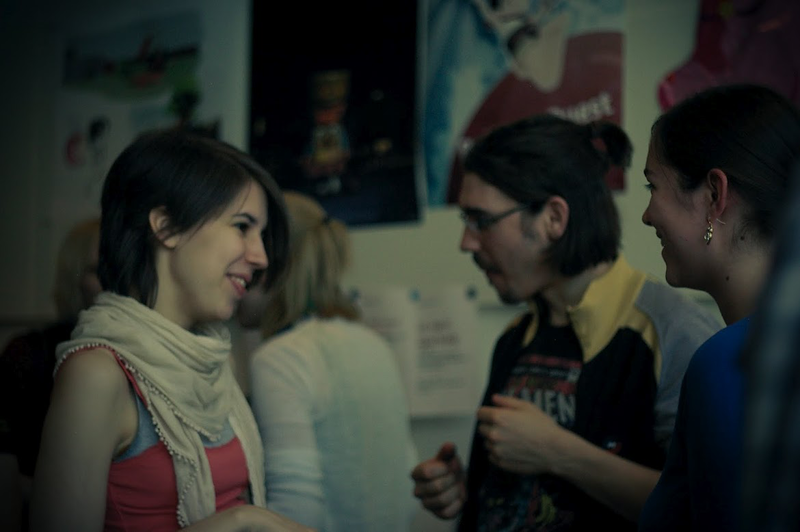 En effet le jeu nous gratifiera, dans son gameplay, de fonctionnalités particulièrement innovantes." "...sono sicuro che chiunque ami i nuovi cartoni animati in 3D realizzati da Disney e Pixar non potranno non rimanere affascinati dall'ottima grafica realizzata per questo gioco cosi come dal suo gameplay che pur ricalcando le consuete meccaniche dei platform é in grado di offrire anche elementi innovativi in termini di gameplay." The sister project of "The Balloon Quest" oflightandshadow.at. During the production of the games, some of our artists created an award winning animated short film as well, which is called "Blood, Sweat & Gingerbread"! bloodsweatgingerbread.com.